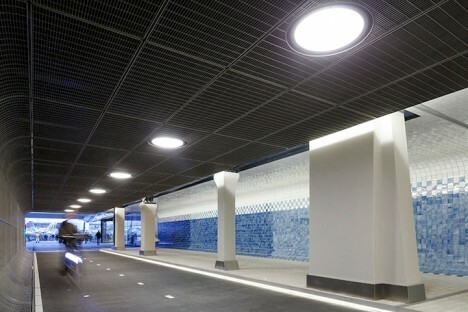 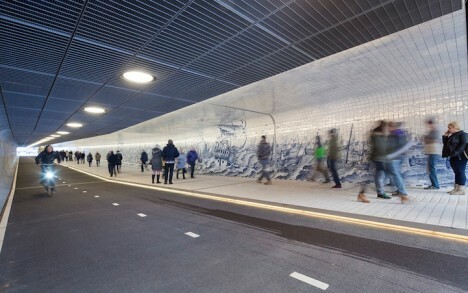 A 361-foot tunnel connecting the historic city center of Amsterdam to its revitalized industrial waterfront district symbolically links past and present with a stunning mural made up of 80,000 tiles. 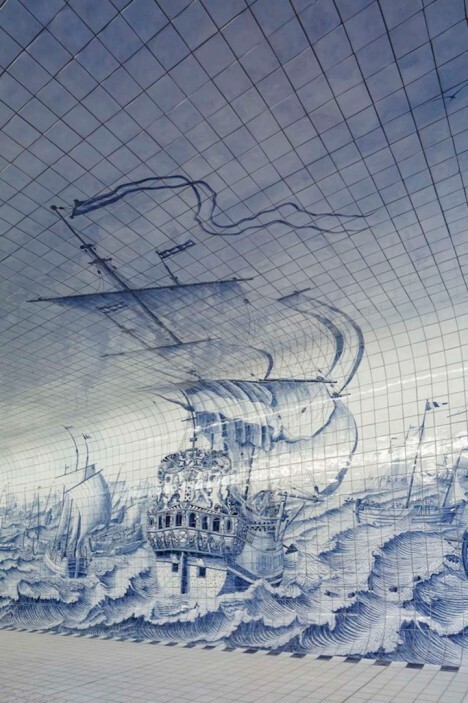 Design firm Benthem Crouwell used iconic Delft blue tiles to paint a picture of a fleet of ships on treacherous seas, taking inspiration from 18th century Rotterdam tile painter Cornelis Boumeester. 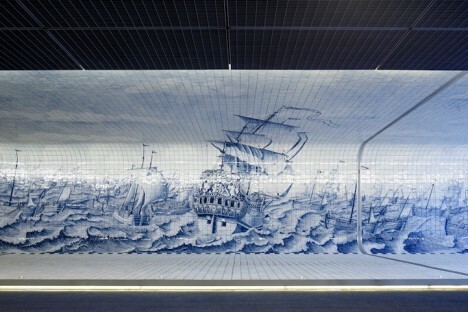 Stretching the entire length of the Cuyperspassage tunnel, which is open only to pedestrians and cyclists, the mural bears a striking resemblance to Boumeester’s depiction of the Warship Rotterdam and Herring Fleet, completed in 1725. 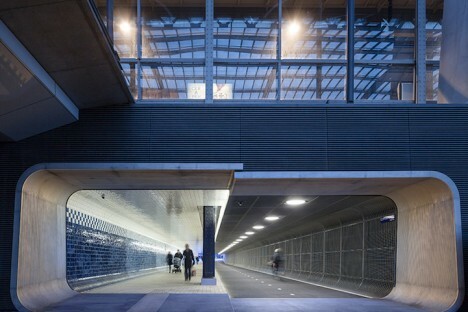 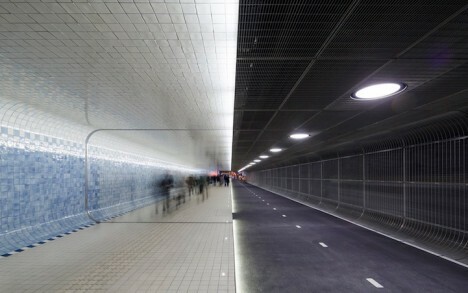 This traditional view of the Netherlands starts to shift and change the further you walk or bike into the tunnel. 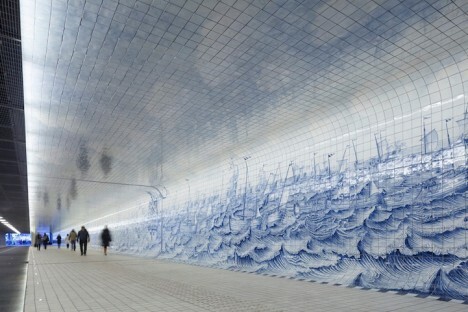 The illustrative style starts to get pixelated about halfway through, growing more and more abstract until it’s simply an arrangement of blue-hued tiles. 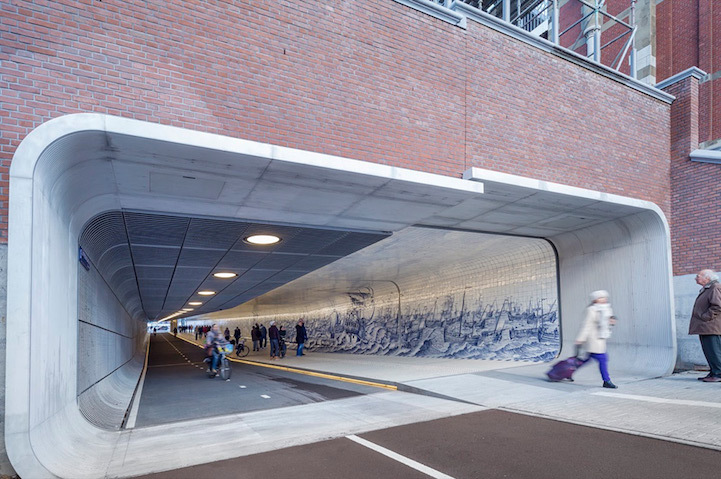 It’s a beautiful way to symbolize the growth and change the city has experienced over the past few centuries, with the potential to become as large a part of the nation’s cultural and artistic identity as the work that inspired it.